If home owners are unhappy with their lending institution, for reasons often associated with poor customer service and/or limitations in the lender's guidelines/policies, home owners have the option to take their mortgage to another institution. There will usually be a penalty associated with breaking the mortgage contract with the current lender. However, sometimes home owners feel that the benefits of leaving the lender outweigh the penalty. If there are no new funds taken out at all, this will usually be considered a Switch/Transfer and most lending institutions will consider covering the costs that are associated with the transfer in order to gain a new customer. If new funds are taken out (for example, if the home owner wishes to include the mortgage penalty into the new mortgage), this will be considered a refinance. Refinancing provides a great opportunity for home owners to shop around again to make sure that they are getting the best mortgage products and mortgage rates in the market. There are times where it is worth it for home owners to consider refinancing in order to take advantage of lower mortgage rates. For example, if a home owner is paying a mortgage with a rate of 6.0% but rates are currently offered at banks for 3%, it may be worth it for the home owner to break their current mortgage to secure the 3% rate. The pros and cons of refinancing for interest savings are very dependent on each individual situation. As a Mortgage Broker, I am very happy to review things such as penalties, costs, and savings, to determine whether it is worth it for home owners to refinance. 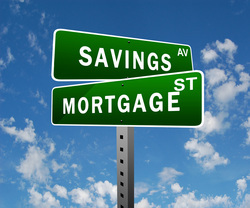 Home owners often find that refinancing can save them thousands of dollars in interest.